Sofa Table vs. Coffee Table: What is the Difference? Though they're both popular and enhance the style and functionality of your living room, there are some obvious differences between a coffee table and sofa table. Size, placement and function are the key differentiators of these two pieces. 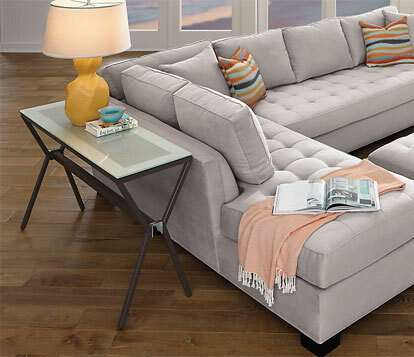 The first notable difference between coffee tables and sofa tables is size. Sofa tables are much taller than coffee tables. Additionally, sofa tables tend to be long and narrow, whereas coffee tables come in a wide range of shapes and proportions. Coming in at about the height of the back of your sofa, give or take a few inches, sofa tables are tall pieces. Some might even reach 33 inches in height and have a fairly narrow profile at about 15 inches -20 inches in depth. This makes them perfect for displaying decorative lamps and items behind a couch. 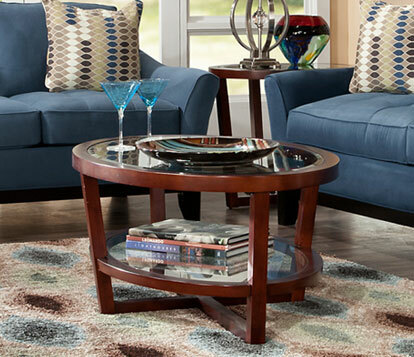 Coffee tables, also called cocktail tables, are meant to sit at or below the seat height of your sofa. These pieces are 16 to 18 inches high and are available in an array of length and width options to provide a convenient table-top surface that fits your living room floor plan. Round, rectangular or square are common shapes for coffee tables, but less common designs such as octagonal, oval or freeform tables can add dynamic interest to your space. Homes with open floor plans typically use sofa tables as a divider between rooms. When sofa placement leaves the back of the piece visible, sofa tables do a beautiful job finishing the look of your space while providing a place to displaying decorative items, plus many offer room for storage. Narrow sofa tables also work well behind a sofa that is positioned against a wall, providing space for the room to “breathe” and a spot for display that is also conveniently out of the reach of small hands. 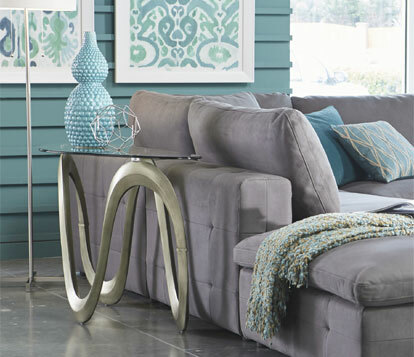 Because of their height, sofa tables can also work well on their own as a console table. Coffee tables are placed just in front of the sofa and loveseat or centered in the living room conversation seating area. Their height and position are ideal for keeping remotes, magazines and a cup of coffee within easy reach. Many coffee tables provide storage drawers and display shelves which allow you keep items handy, yet out of the way. Some tables come with a lift top which can be convenient for laptop use or eating quick meals. Coffee tables and sofa tables with their different proportions serve different needs, many living rooms are well suited and superbly stylish with both of these table types as part of their functional design. Searching for more on living room tables? 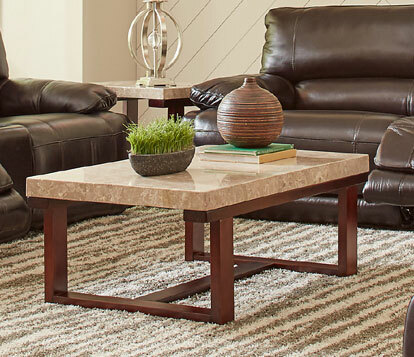 Check out: What We Love About Sofa Tables, How High Should a Coffee Table Be? and What Size Should a Sofa Table Be?